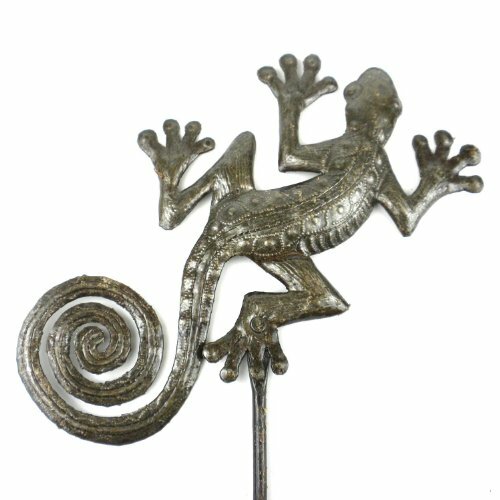 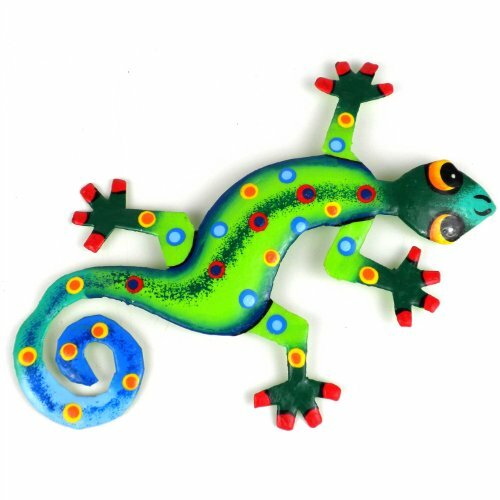 This metal art garden stake is 25 inches tall and features a 9-inch tall gecko. 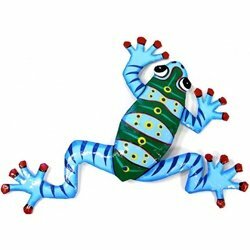 Handmade from steel drums with a natural patina, they are suitable for indoor and outdoor use. 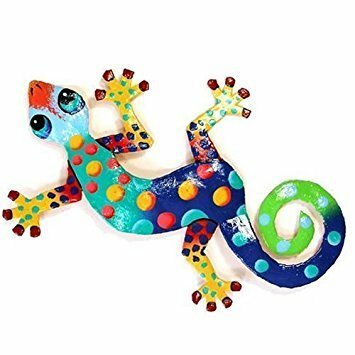 Keywords: 25-inch Metal Garden Stake With Gecko, Recycled Metal Art, Metal Wall Hanging Decor, Tree Of Life Wall Art, Cheap?Metal Wall Art, Contemporary?Metal Wall Art, Modern?Metal Wall Art, Butterfly?Metal Wall Art.